December 25th is rapidly approaching and by now many of us already have our Christmas decorations proudly on display. In fact, a recent survey by 247 Blinds discovered that 51.8% of people have put their festive decorations up by the second week of December. If you are one of these zealous decorators, have you ever considered what your friends and family think of your illuminated exterior and tinsel adorned tree? Well, you may want to think twice before covering your house in fairy lights as the survey also revealed that, according to the British public, this is the number one seasonal faux pas. Additionally, for 13% of people, the overuse of tinsel is considered to be a big no-no. One in six respondents stated that ‘tacky’ decorations are a huge turnoff when visiting friends and family while 15% of those surveyed frown upon those who decide to litter their garden with rotund Santa’s and inflatable reindeer. But it doesn’t end there. Surprisingly, men appear to be three times more likely than women to judge their friends for having a fake Christmas tree. Women on the other hand have zero tolerance for those who opt for clashing colours on the tree. So where are people getting their Christmas décor inspiration? Well, the survey turned up some interesting results. 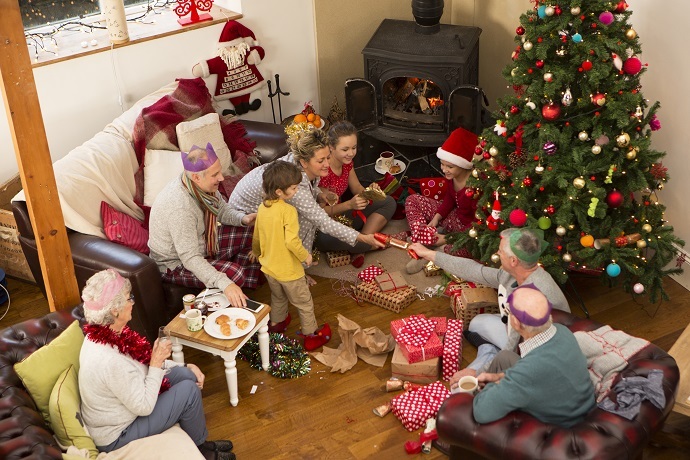 14% of people still look to family and friends for tips on how to dress their home over the festive period, while 22% of people head straight to social media for their picture perfect inspiration. Unusually, 8% of people admitted to having a nose through other people’s windows. Keeping up with the Joneses springs to mind! As if having to deal with the judgement of family and friends isn’t tough enough the survey also uncovered the most common injuries that occur, when decorating for the festive season. hitting their hand with a hammer.